Civil rights groups in Los Angeles said Thursday that they had been alerted by “credible sources,” including attorneys, that immigration sweeps were taking place in the greater L.A. area, prompting more than 100 protesters fueled by fear and outrage to march in the streets of downtown L.A. on Thursday evening. 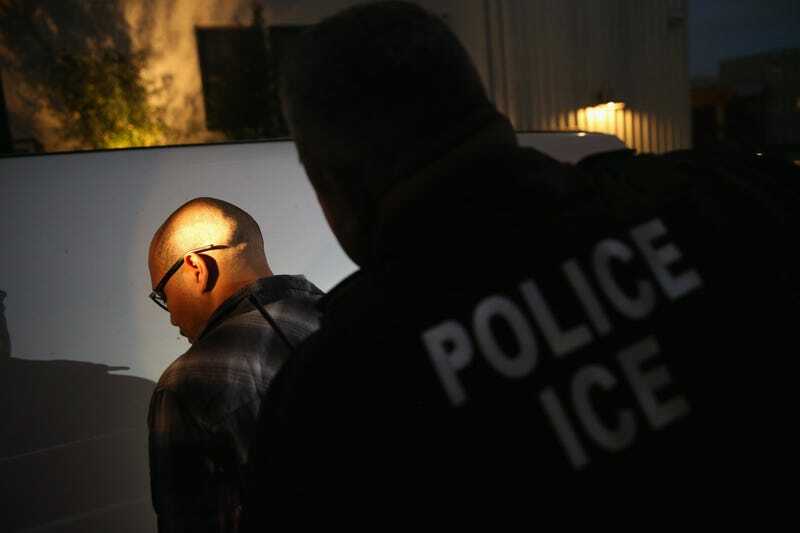 As the Los Angeles Daily News reports, the reported raids happened as Southern California lawmakers and immigration advocates have drawn battle lines against President Donald Trump and his hard-line stance on illegal immigration. Coalition for Humane Immigrant Rights of Los Angeles Executive Director Angelica Salas told the Daily News that the group started getting calls just after 11 a.m. on Thursday. Virginia Kice, a spokeswoman for ICE’s western region, could not confirm a specific operation and said that any actions Thursday were not out of the ordinary. State Sen. Tony Mendoza, D-Artesia, released a statement Thursday night, calling for ICE officials to address the public about the reported raids. “We need urgent clarification from ICE on how many people were detained, if any have serious medical conditions, if they have had access to adequate legal counsel or if local law enforcement participated in these raids,” Mendoza said. California Senate President Pro Tem Kevin De León, D-Los Angeles, took to Twitter to speak out against ICE’s actions. De León later released a full statement, in both English and Spanish, advising his constituents to know their rights and vowing to “aggressively” defend law-abiding immigrants. U.S. Rep. Tony Cardenás, D-Los Angeles, also released a statement Thursday night, pinning the action on the Trump administration. Of course, a Department of Homeland Security official told the Daily News that reports about the number of immigration-related arrests Thursday were “grossly exaggerated,” but I wouldn’t put it past this administration to be conducting the type of covert operations being described. Trump just signed an executive order Thursday related to illegal immigration, did he not? It’s worth noting that on Friday, people on Twitter reported ICE checkpoints at various locations in the Greater Los Angeles area, but those reports have not been confirmed.